Located in Lake Padgett Estates, a unique equestrian/boating community. 3 ski lakes, playgrounds, tennis courts, and a horse stable. NO CDD AND LOW TAXES! 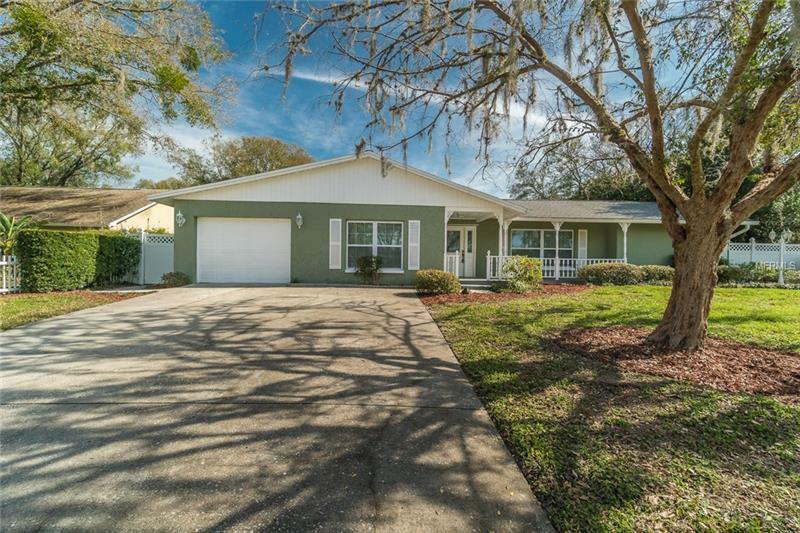 A true gem in a great central location in Land O Lakes! Enjoy the best of the Florida lifestyle (complete with a white picket fence!) with this updated and move-in ready home. You will feel right at home as you relax with your morning coffee on the peaceful front porch and spend your evenings soaking in your private hot tub overlooking your backyard tropical oasis. This spacious home is updated and features a split floor plan with 3 large bedrooms, 2 bathrooms and a 1 car garage. The spacious floor plan features separate living room and family room (both with sliders to the patio!) as well as a formal dining area and breakfast nook. The renovated kitchen features white cabinets, granite countertops, an eat-at bar and Whirlpool stainless steel appliances. Master bedroom has updated en suite bath with walk-in shower and French doors leading to screened porch with hot tub. Backyard is a gardenerâs dream with Florida room, covered gazebo overlooking small pond, walking paths and lush vegetation and fountains, and two sheds. Many extra upgrades make this home sparkle including new tile through main living space as well as new carpet in the bedrooms, ceiling fans in all rooms, new interior and exterior paint, updated windows.Donât wait to schedule your private tour today!